I have to admit there are times I enjoy a challenge. As I’ve mentioned before we watch some of Gordon Ramsey’s shows over here like Hell’s Kitchen. In this show if you can’t do a proper beef wellington he starts yelling. So I’ve wondered how difficult it was really. Turns out it isn’t too bad. And as I’ve never had one before it was a great treat. I took inspiration from his recipe here. And as usual I did it my way. 🙂 I changed a couple of things as I geared it to our tastes plus I took more pictures. I didn’t like that there weren’t more pictures to show us what should be happening. All went well except a slight hiccup at the end which I’ll get to. There are a lot of steps but nothing overly difficult. But it is important to set aside time to get this right. First the mushroom mixture needs to be prepared. 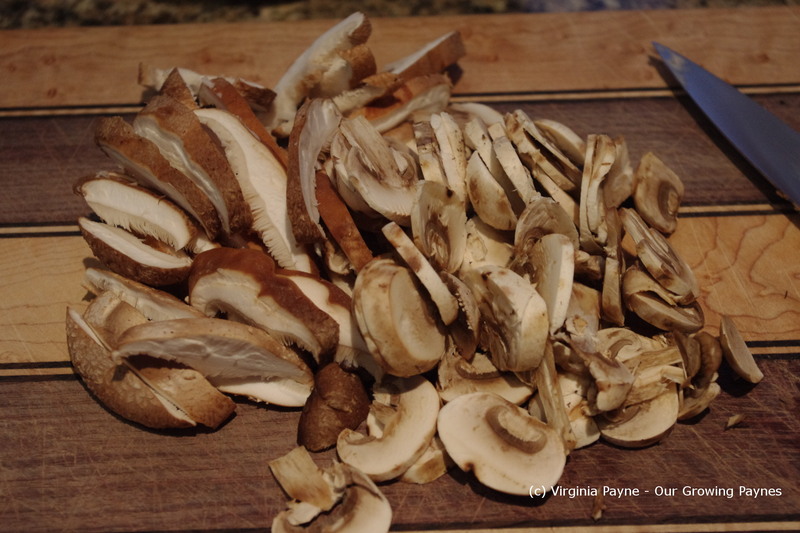 I chopped up a bunch of mushrooms we had on hand. 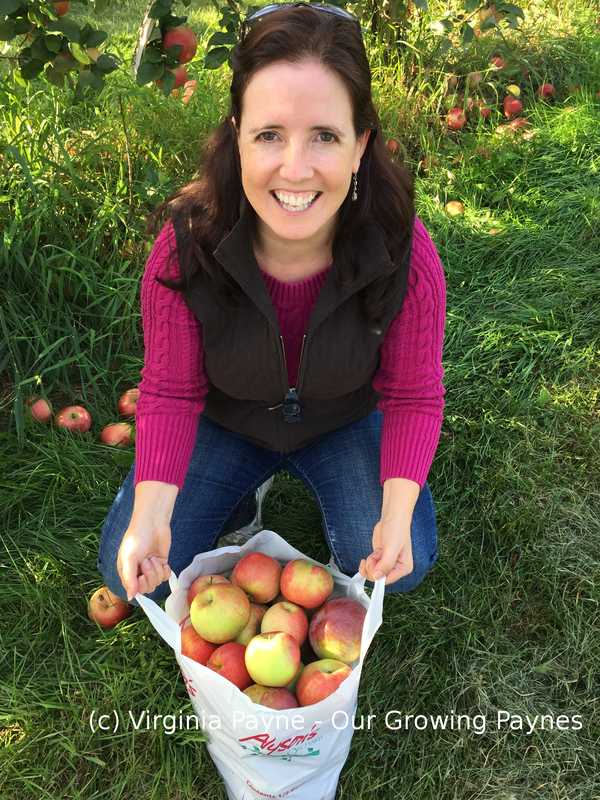 It doesn’t have to be finely chopped. I melted some butter and added a bit of olive oil to a small skillet. I started browning the mushrooms. 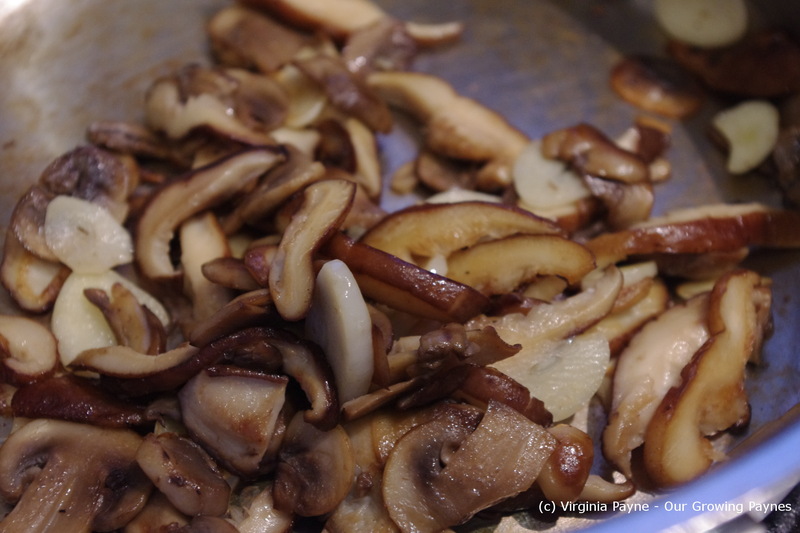 I then sliced a few cloves of garlic and added them to the mushrooms. To deglaze the pan I added a splash of white wine. Not too much as you don’t want a sauce. Once this is cooked transfer it to a food processor and pulse until it is a finely chopped paste. Set aside and let cool. 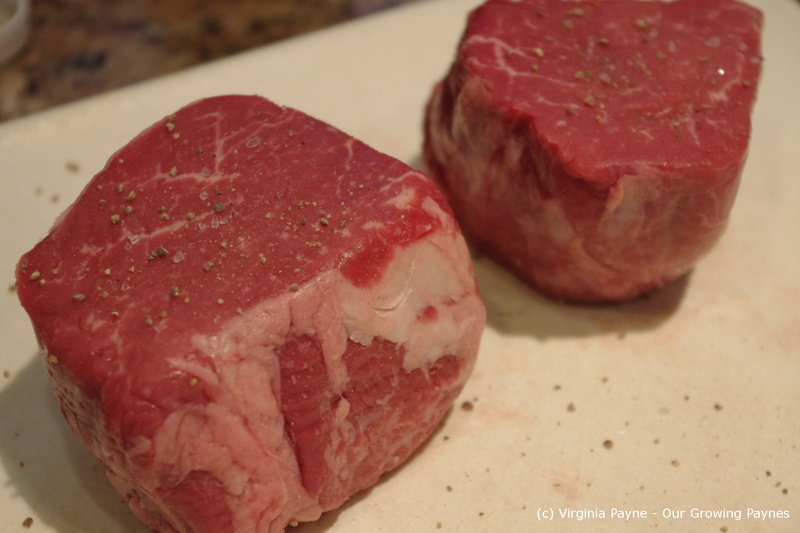 Next salt and pepper the filets. In the same pan I did the mushrooms I add a bit of olive oil and heat. Once hot I seared all sides of the meat. It only takes a few seconds per side. 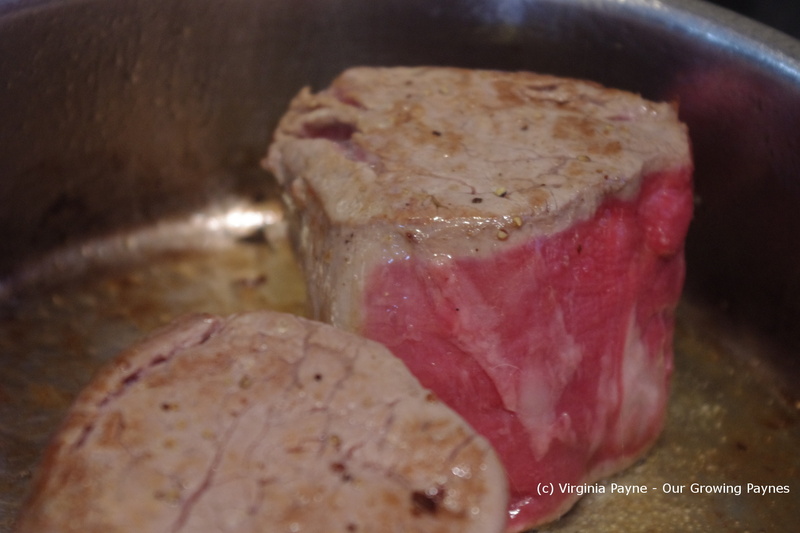 The meat shouldn’t be cooked at this stage but you want the juices sealed in. Set aside and cool. Once cooled take some cling film and lay out about 4 slices of proscuitto. Try to get the real thing. My shop doesn’t carry it anymore despite the fact they went through one a week! Sigh. What I had was not half as good. Spread the mushroom mixture over the proscuitto. Next time I will make more mushrooms as I had to spread this quite thinly. 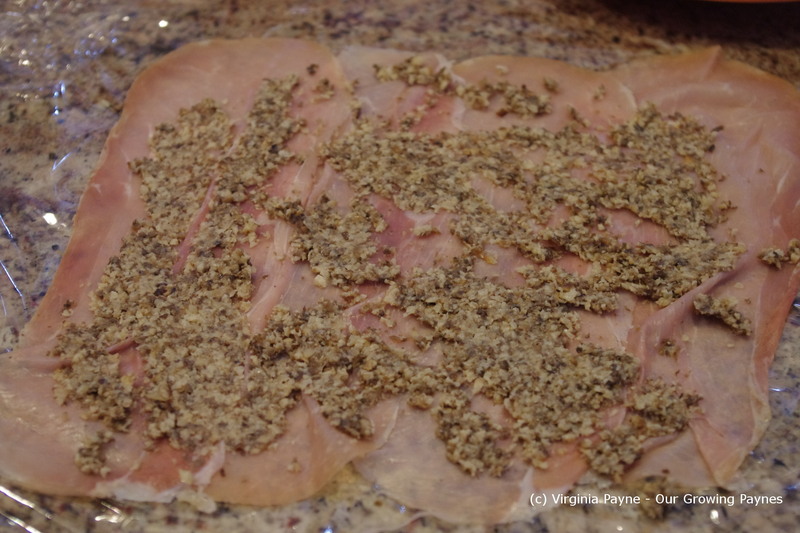 I then spread stone ground mustard over the meat and placed it in the middle of the mushrooms. 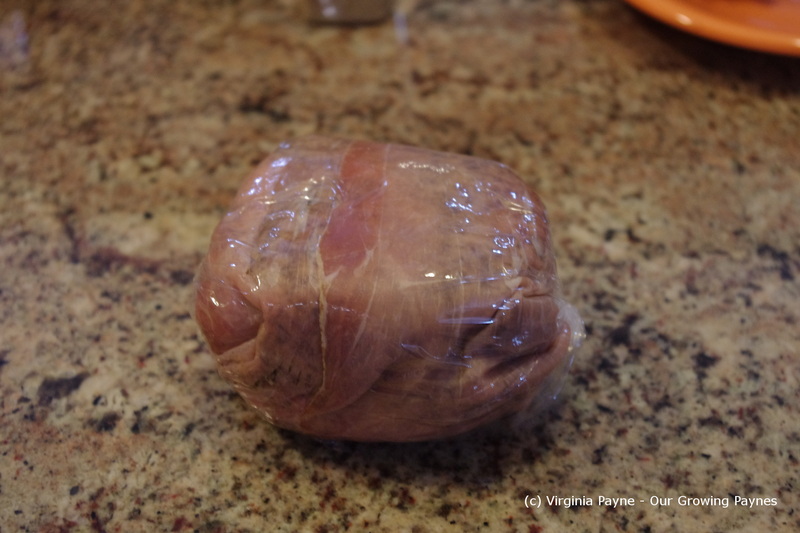 Fold up the proscuitto around the meet and wrap the cling film tightly around the meat. Place in the fridge for about 10 minutes to chill. Roll out the puff pastry very thinly and place the meat in the centre. Use a beaten egg on the edges. 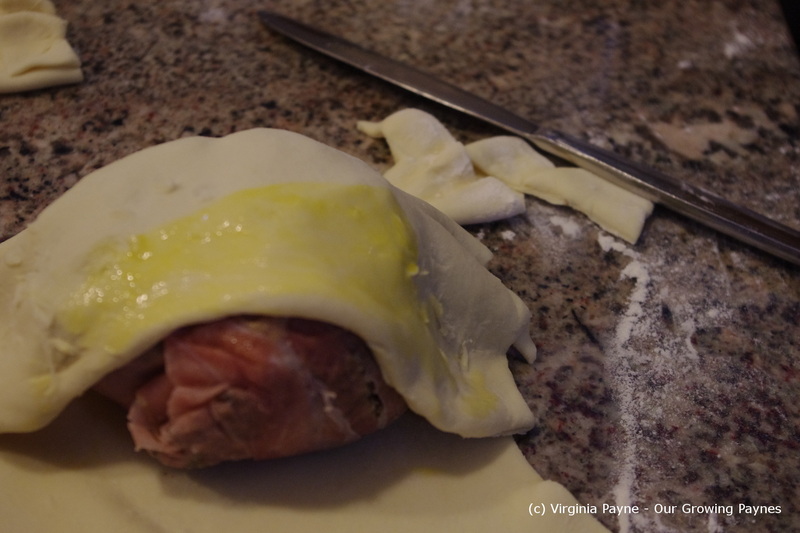 Fold the pastry around the meat and tuck the ends underneath. Cut off the excess. 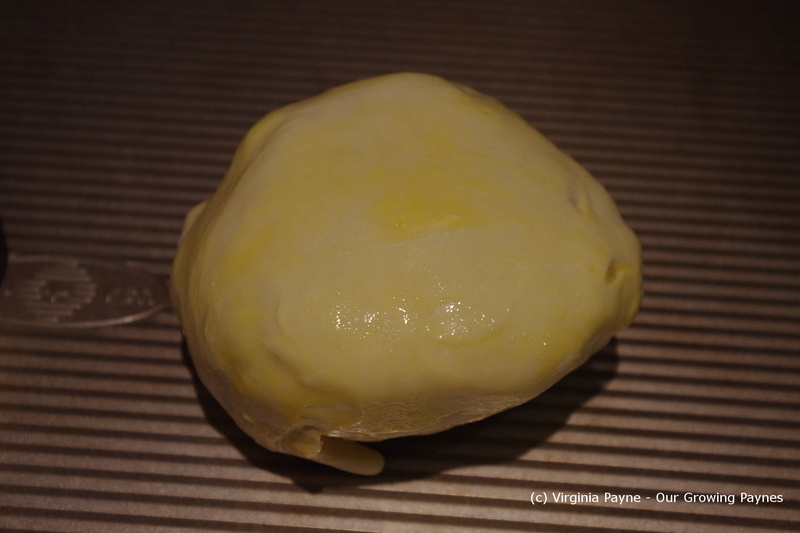 Then egg wash the pastry and chill for about 5 minutes. I baked it in a convection oven at 395 F/ 200C/ Gas mark 6. Gordon’s recipe said to bake 35-40 minutes. So I figured 30-35 minutes for convection. Here was my hiccup. Should have done it 25-30 minutes. 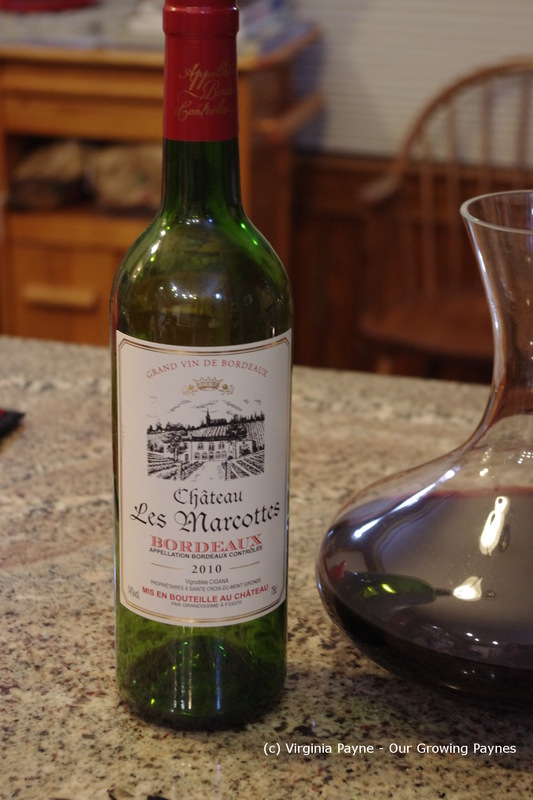 While it was baking I decanted the wine. 🙂 This wine worked well with the mustard. 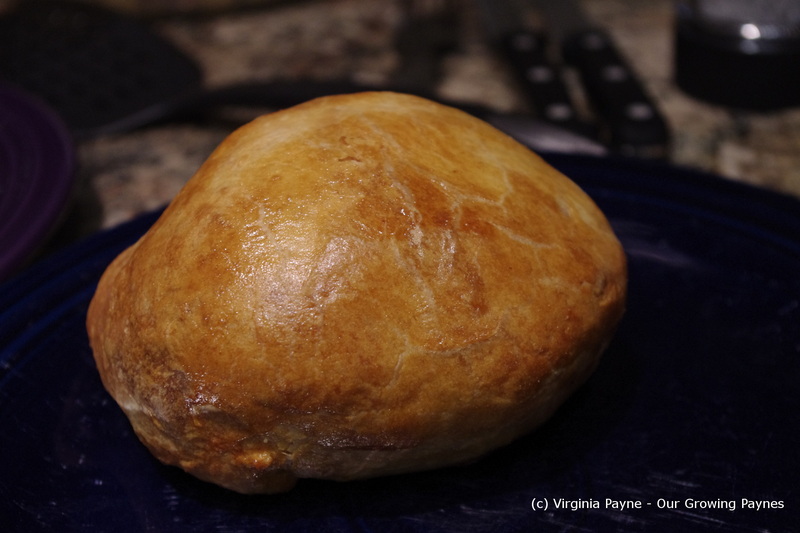 Here is the beef wellington while resting. You want to rest it 8 to 10 minutes before slicing it open. If I had taken it out sooner it would have been more of the pink that we like. This entry was posted in Beef Recipes and tagged beef, beef wellington, butter, cloves of garlic, cooking, dinner, food, garlic, mushrooms, mustard, olive oil, proscuitto, salt and pepper, white wine. Bookmark the permalink. One of my favorites but it is a lot of work. Special occasions only. I have to say it wasn’t as bad as I thought it was going to be in terms of the steps needed to make this. It held me back from doing this a lot sooner. Looks Amazing! Thank you for the walk through instructions. I’ve only made Beef Wellington once and that was one large tenderloin that I carved at the table to serve. Next time, if I ever cross that bridge again, I’ll follow your lead and make individual servings. Yours looks so very good and the meat was perfectly cooked. Thanks for sharing. 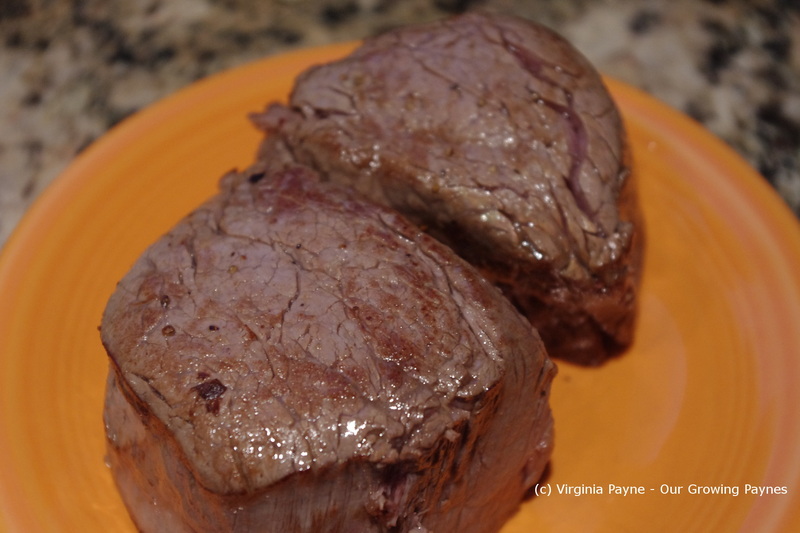 I made the real deal twice myself, a full filet wrapped up. The prosciutto is substituted by foie gras…it was divine. Yours seemed pretty good, too. Very comforting food. I have fond memories of beef Wellington. Now that Jenny doesn’t eat meat, it’s off the menu! Does that mean you can’t have meat at home for yourself? I have several vegetarians in my family and we make sure there are dishes for everyone, though we do have a lot of meals at home without meat. Not that you can tell by my posts! I love that you made individual portions using the smaller pieces of meat rather than the long whole tenderloin version! Great idea! I’ve made pork wellington, so now I think it’s time I try the beef. I checked out your recipe and it looked really good. For me its perfect! From looking at the first picture I started to feel hungry by the time I got to the last I felt quite sad that I haven’t got Beef Wellington for supper tonight. It really is a feast for the eyes. Thanks. 🙂 I hope you have a chance to try it out. I love watching Hell’s Kitchen! Gorden is quite the character…lol!! 😉 This dish looks fantastic, I love the step-by-step photos and that you made individual portions. It looks really tasty. I haven’t made it before either but, seeing these pictures certainly makes me want to! Oh give it a go! 🙂 It’s not nearly as bad as Gordon makes it out to be. This sounds like a real treat! I don’t think I’ve ever had this. 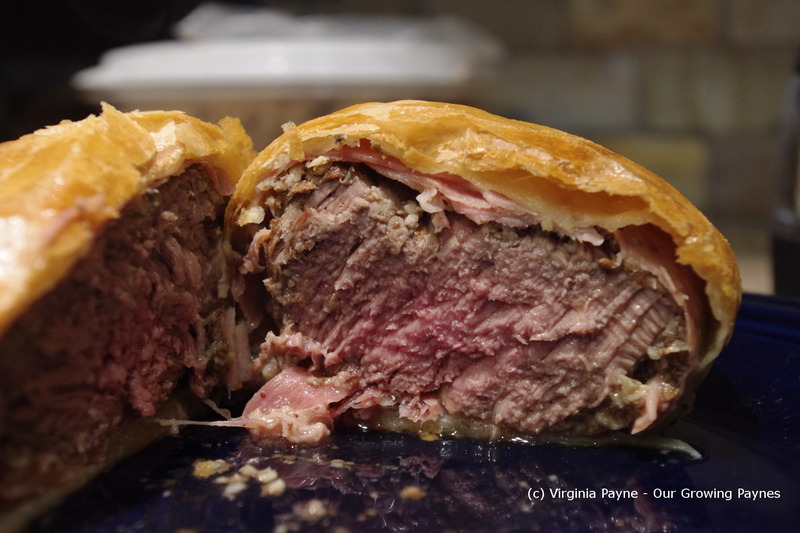 Although, in a restaurant I used to work at they served some sort of beef encased in pastry. I’m sure it must’ve been the same thing, except with steak as that’s the size they were. Yum. The mustard with the garlic and mushroom mixture really made the dish pop. Can’t believe I waited this long to try it. This is completely my favourite dish! We even ended up having it for Christmas lunch! 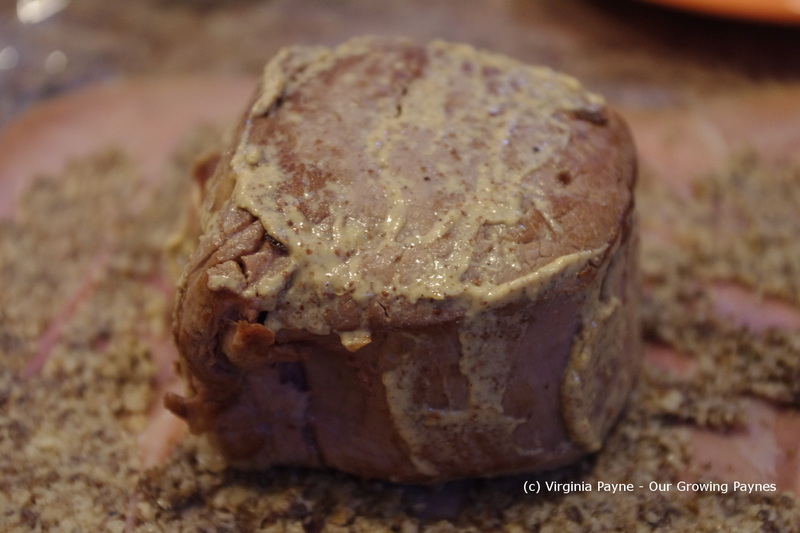 I love Beef Wellington – have never added stone ground mustard but love the idea – it looks delicious! Thanks. I had never realized it called for mustard so luckily I had the stone ground mustard on hand.